The FBI is investigating after an underground tunnel was discovered leading to a Chase Bank near a South Florida shopping center. 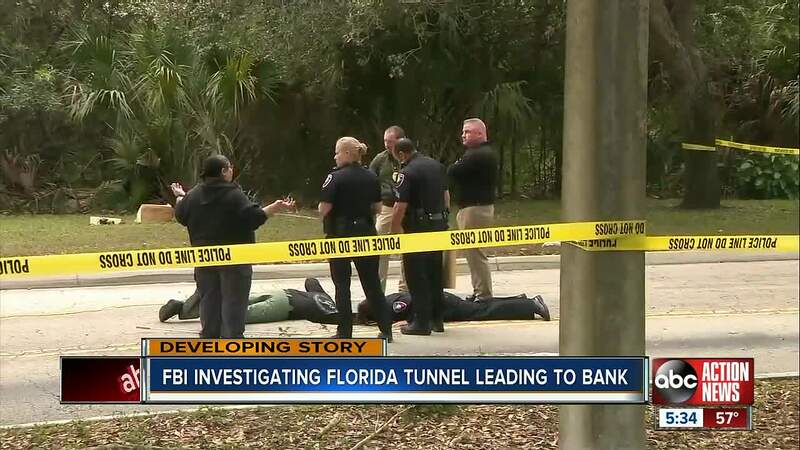 PEMBROKE PINES, Fla. — The FBI is investigating after an underground tunnel was discovered leading to a Chase Bank near a South Florida shopping center. 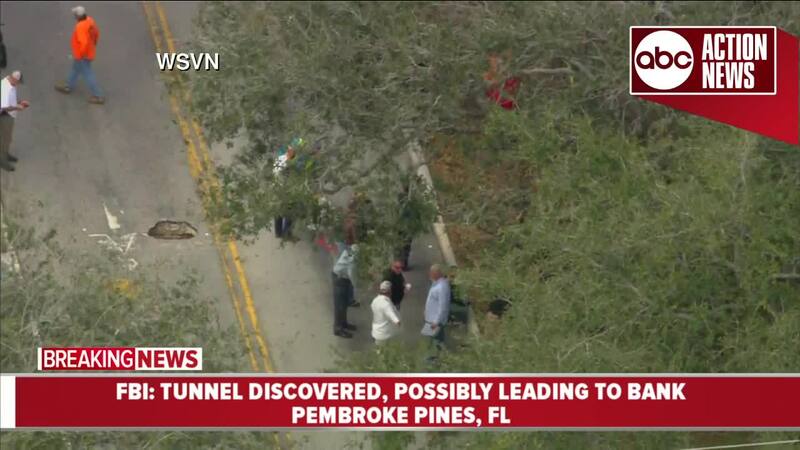 The FBI was called after officials realized the sinkhole they were investigating was a tunnel of sorts. Investigators found an entrance hole in a nearby wooded area that contained a small electric generator and some electrical cords, according to the Associated Press. The tunnel led under the road toward the bank, a distance of about 50 yards and it was only about 2 feet wide. "The only thing I've ever seen like this is in the movies. This is truly a unique case here," FBI spokesman Mike Leverock said. "It's very small, very claustrophobic." Investigators believe the tunnel was dug by hand, according to AP. They believe whoever dug it used a pickaxe to dig it and a small wagon to transport dirt and rocks outside, Leverock said. They also found a pair of muddy boots and a small ladder inside the tunnel. "They could have been here a week ago, last night. We don't know at this time," Leverock said. Pembroke Pines police turned the investigation over to the FBI. There was no robbery at the bank and no arrests have been made at this time. The FBI asked anyone with information about the tunnel or anyone who may have noticed people in the area during the night to contact the bureau's South Florida field office at 754-703-2000. Story developing, refresh for updates. Stay with ABC Action News for the latest.